Setting out for the frontier in the 19th century was nothing like moving to a new city today. You weren’t moving to a place with a fully developed infrastructure, where you could easily get your hands on all the essentials of day to day life from a choice of stores and service providers. The hardy pioneers who built the West had to be self-reliant, and that meant taking everything they needed with them. We often have a mental image of those pioneers loading their chuck wagon with food and gunpowder before striking out into the new lands of the West, and that image isn’t inaccurate; they did carry these essentials, in the largest quantities they could. In fact wise settlers packed their wagons almost to overloading, and sometimes beyond. It wasn’t uncommon to see a wagon propped on crates or barrels at the side of the road, while its owners worked at repairing a broken wheel or split axle. Pioneers didn’t just carry the things they needed. They also had to carry the tools to repair the things they needed – and then, when supplies ran out, to make more. Even the most heavily loaded wagon can carry enough to keep a family going for a few months at most. If the pioneers wanted to make a serious attempt at building a new life in the West they needed to be truly self-sufficient, and the key to that was taking the right tools with them. If you like to be self-reliant around the house the chances are your tools massively outnumber the ones the typical pioneer family took with them – but yours will be more specialized, and aimed at fixing or maintaining modern appliances or carrying out general DIY tasks. Frontiersmen had different priorities. They didn’t just want to fix things; they had to be able to make things, so the tools they took with them were absolutely vital. Take a look in your toolbox and you’ll probably see a load of tools for working with wood, electrical wiring and maybe plumbing. You’ll have an assortment of screwdrivers, and likely a multi-tool like a Dremel. You’re well equipped to handle any repairs or improvements around your home. But could you build a home with them? That’s exactly what the pioneers had to do. The tools they carried had to be up to the job of harvesting natural resources and turning them into the raw materials to build a home. Then there was agriculture. The food carried in a wagon would last for a matter of weeks, half a year at the most – and while it was usually possible to buy more from enterprising traders, the cost of wagon freight made that too expensive for most people. Anyway, for most settlers the whole point of heading west was to farm their own land, and you can’t do that without tools. Often you can’t do it without the tools to make other tools. Finally there were the small things. On the frontier you couldn’t drop in to the local outfitters and pick out clothes that fitted you. Instead, most people bought bolts of cloth and made their own. That wasn’t the only sewing that needed done either. The West was mostly powered by horses, and horses need tack. That breaks or wears out eventually, and the pioneers had to be able to fix or replace it. The same went for most of their other possessions. 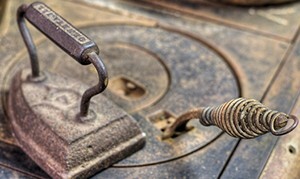 Sometimes there was no choice but to pay the inflated prices at the nearest general store, but wherever they could pioneers would fix or replace things themselves. Their tools had to be capable of a wide range of tasks, and they didn’t have the technology that we do. There were no power tools, just simple hand-operated ones. But those simple tools could do amazing things when used properly, and if society breaks down they’ll do just as good a job for you. Let’s look at the tools that built the West in a bit more detail. A knife is the most basic, essential survival tool. 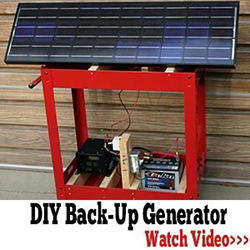 If you have one you can start to collect what you need to make other, more advanced tools. If you don’t have one you’re in a lot of trouble. Pioneers carried knives everywhere they went – usually a simple hunting knife on their belt, and maybe a folding pen knife as well. 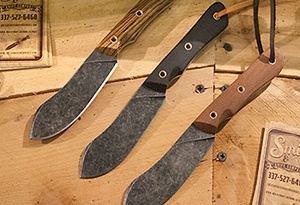 These would be used for dressing game – the major source of fresh meat in the early years of a move west – and for wood carving, plus many other daily tasks. More knives would be found in the kitchen; not as many as in a modern kitchen, but in a wider range of sizes. Pioneers didn’t need six different styles of small paring knife but they did need large butcher knives and cleavers. The first tools men made were stone hammers. Just a hard piece of rock shaped to have a comfortable grip at one end and a striking surface at the other, these were the launch pad for over 2.5 million years of technological progress. A hammer lets you apply concentrated, rapid force to something, and it opens up a world of possibilities. With a hammer you can quickly fix objects together with nails. You can shape metal. Add some wedges and you can split logs and even rock. Without a hammer, many of the jobs pioneers needed to do would have been a lot longer and more difficult. Many more wouldn’t have been possible at all. 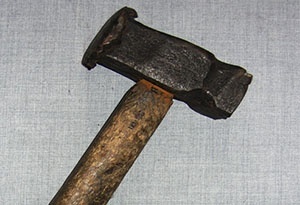 A frontier toolkit would have contained several hammers, ranging from a standard claw hammer to heavier ones used for metalwork or breaking rocks – and probably a sledgehammer for when real power was needed. Small bits of wood can be cut and shaped with a knife. 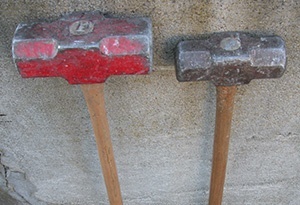 Logs can be split with a hammer and wedge. But to cut large pieces precisely, you need a saw. Without a saw you’ll struggle to build anything better than a crude shack, and you won’t be able to make most of the advanced tools that turn life from a daily grind into something approaching comfortable. Doors that fit the frame? That needs sawn boards. Window frames? Sawn. The frame for a threshing machine or spinning wheel? Good luck shaping that with an ax. A good tool kit needed at least two saws; a large bow saw for felling and trimming trees, and a small hand saw for precise work. Other styles were also available, but with those two a handy pioneer could manage most tasks. An ax combines the cutting edge of a knife with a hammer’s ability to deliver concentrated force, and if you want to cut things in a hurry it’s hard to beat. 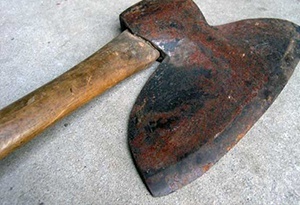 Pioneers used axes to harvest timber, clear land for farming and split firewood. A hatchet is also a great tool for rough shaping of wood, and if you’re building a log cabin it’s unbeatable for getting the joints done. Most of us think of a spade or shovel as a tool for yard work. To the pioneers it was one of the most important items they had. A spade was needed to build a new home. At minimum you’d have to dig holes for the support posts of a log cabin – but many pioneers didn’t live in log cabins. Where there was a shortage of suitable timber it was much more common to build a sod house, and that meant cutting thousands of blocks of turf. A spade was an essential tool for that. After a pioneer family had built a home the next thing on the list was usually a vegetable patch, to start supplementing the food they’d brought with them. Again, a spade was needed to prepare the ground. 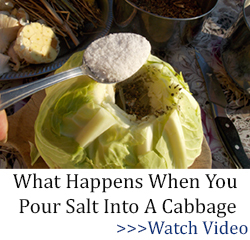 Finally, almost every home had a root cellar to store food, and building that took a lot of digging. Long-term survival on the frontier meant, for most people, starting a farm. That would provide them with food, and give them a surplus to sell. Obviously growing crops on a large scale needed some more specialized tools. A spade and hoe will do fine for a small plot of vegetables, but they aren’t up to the job of preparing a whole field. The pioneers took some agricultural equipment with them, and with their other tools they could make the rest when they arrived at their new home. If you want a good crop you need to loosen and turn over the top layers of soil, to bring up nutrients and distribute them evenly. A small plot can be prepared with a spade, but a plow will cover large areas much more quickly and easily. Plows – first drawn by hand, and later by animals – had already been used for thousands of years, but by the time the pioneers set out West the standard was a horse-drawn moldboard plow with a cast iron blade that could turn over the virgin land and expose the rich soil. 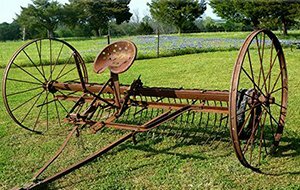 In 1837 John Deere invented a steel plow blade that was both lighter and stronger, but many pioneers couldn’t afford these. Then there was the issue of weight and bulk. A whole plow was a large, heavy item that wasn’t easy to fit in a wagon already crammed with other supplies. Many people just took the blades with them, and built the frame from local timber when they began farming their new land. Later, as local industry began to develop, a blacksmith could make iron blades to replace worn-out ones. A plow is very good at turning over the soil, but it usually leaves many large lumps. These make planting difficult, so a plowed field would then be worked over with a harrow to break up the clods and give a smoother surface. Modern harrows are quite sophisticated, but pioneers used much simpler – but still effective – ones. A basic harrow is simply a heavy wooden frame with rows of spikes on the bottom that’s dragged over the field by a horse. Pioneers would usually take the iron spikes with them, then build the frame themselves. Fertile land doesn’t just produce crops; it’s also a magnet for weeds. Plants that evolved to win the struggle for space in a forest or grassland can quickly take over a battlefield as easy as a plowed, harrowed field. 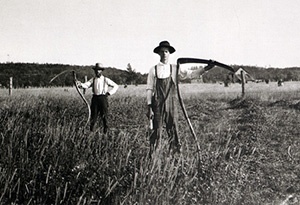 Without modern, selective weedkillers, pioneers had to spend time manually weeding their fields. Instead of pulling them out one at a time a hoe was used. 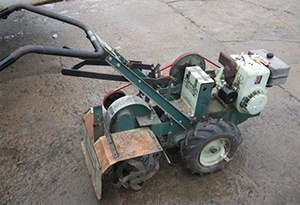 Its iron or steel blade, on a long handle, lets you chop the foliage away from the roots without bending down; an experienced user can clear weeds at close to normal walking pace. Without a hoe it’s almost impossible to weed a large field effectively. 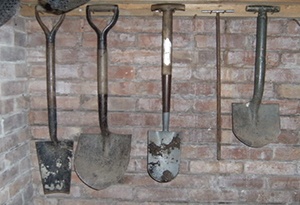 As well as weeding a hoe can also shape the soil, cut shallow trenches, or replace a harrow for small plots. It’s a very versatile tool, and essential for anyone farming without modern machinery. The first mechanical reapers were built by the Romans, but the technology was lost for centuries after the Empire fell. It resurfaced again in England in 1814, and by the 1830s there were at least two US companies making horse-drawn mechanical reapers. Most pioneers couldn’t afford a mechanical reaper though, so they harvested their crops the old-fashioned way – with a scythe. A scythe lets you cut standing crops easily and quite quickly, and can also be used for cutting hay, clearing weeds and general control of vegetation. A specialized type called the cradle scythe adds long “fingers” to the handle, which catch the cut stalks so they can be easily stacked or laid out, but for general work around a small farm a traditional scythe is more flexible. A sickle is a compact option that’s easier to transport but its short handle means you need to bend or crouch to cut, and that means it’s much slower and more tiring to use. Once grain has been harvested you need some way to separate the actual grains from the husks. Doing it by hand is far too slow, so the traditional method was to use a flail. This is simply two sticks connected by a short chain; the harvested grain was piled up, and then repeatedly hit (“threshed”) with the flail until the husks fell away. A typical flail used for threshing wheat had a handle about five feet long and slightly over an inch thick, joined by a couple of inches of chain to a second stick about three feet long. Separating grain with a flail is a labor-intensive job, but pioneer families used flails successfully to process their wheat crops and they were still in use by some farmers in the early 20th century. Threshing machines did exist, but they were out of reach for most early settlers in the West. An anvil is a huge, heavy, awkwardly shaped lump of steel. It’s one of the most difficult things you could possibly decide to take on a long journey West along rough tracks. Nevertheless, many pioneer wagons had an anvil on board – usually slung under the chassis, between the axles, so its massive weight didn’t tip the wagon over. With an anvil and a forge you can repair or make a whole range of metal objects. The parts of a broken tool can be heated then beaten together, repeating the process until they’re welded into a solid piece again. Metal bars can be turned into anything from horseshoes to scythe blades or knives. 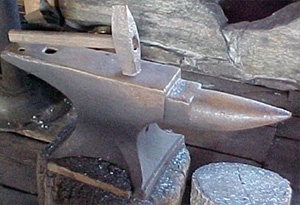 The conical horn of an anvil lets a good smith shape metal into complex curves. Without an anvil – or modern power tools – it’s very hard to make anything useful out of metal. A forge needs a way to pump air through the burning charcoal. As long as you have that it isn’t hard to build a forge – you just need a shallow pit lined with fireproof material, usually brick. 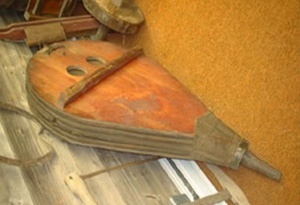 Modern forges usually use an electric blower to create a draft, and some older ones used a water wheel or even a treadmill to turn a fan, but most pioneers relied on a hand-pumped bellows. This is an uncomplicated device – two flat boards with handles, hinged to a nozzle at one end, with a one-way valve in one of the boards and a leather skirt connecting the two. Moving the handles apart draws in air through the valve; pushing them together again closes the valve then blasts a stream of air out the nozzle. A pioneer smith would put his metal workpiece in the forge then pump the bellows to raise the temperature. It’s simple, but very effective. If you’re working with heated metal you need a way to handle it. Even a heavy leather glove won’t protect against red-hot iron for long, so any pioneer who planned on doing some blacksmithing would take at least one pair of iron tongs. These were used to move metal in and out of the forge, and to hold it in place on the anvil while it was being worked. Blacksmith’s tongs are heavy and robust, as well as simple – usually they’re just two iron bars, drilled and hinged with a single bolt or massive rivet, and curved into jaws at one end. Iron conducts heat, but the handles were long enough that they could be safely held in a gloved hand. Metalworking needs a hammer, but the regular claw hammer in your toolkit isn’t really up to the job – and the heat from the work piece will gradually soften its striking face, too. For smithing a heavier hammer is needed – if the job is very large, maybe even a sledgehammer. Any serious metalwork project needs specialist hammers, and pioneers who tool an anvil west with them would have carried a few. There are some metal working jobs that don’t need a forge, but most of those need a file instead. With a good file metal can be ground down or reshaped. A broken knife can be remanufactured into a shorter one, or the edge on a worn plowshare touched up. Forged parts can be filed until they fit properly together. Almost every pioneer would have taken a set of files in assorted sizes and shapes – flat, round and half-round. It’s easy to wash clothes when you have electricity, a domestic water supply and a modern washing machine. It’s much more work without them. Today we usually only hand—wash small, delicate items. The pioneers hand-washed everything, from dirty work clothes to bedding, and it was a time-consuming job. 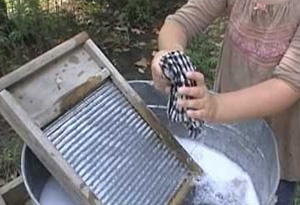 One tool that saved them a lot of time was the simple washboard. Now these usually have a wooden frame with a corrugated steel wash surface fitted into it; in the 19th century they were literally boards, with rounded wooden strips nailed or glued on to create the ribbed surface. Washboards have disappeared from most homes, but that’s not because they don’t work – a washing machine is just simpler and takes less time. Washboards have real advantages though. They use much less water and they’re also easier on the clothes, which was important to pioneers; replacing worn-out clothes wasn’t so easy. Even today, soldiers on long operational tours often use washboards to help them keep their uniforms clean in isolated outposts with scarce water supplies. Westerns often focus on cattle ranching, but a lot of the livestock raised by the pioneers was sheep. These were a valuable source of meat, but they were an even more valuable source of wool – and once wool had been harvested it was a lot cheaper to spin it into fibers at home than to ship it back east then buy manufactured garments coming the other way. Poor families might have used a distaff and spindle, simple tools for spinning by hand, but the spinning wheel was far more common. 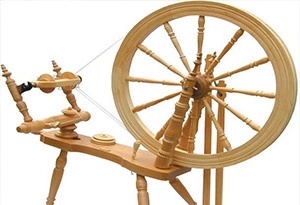 The textile industry had already replaced the spinning wheel with the jenny, beginning in northern England in the 1760s, but it was still a common and familiar tool. It could also be easily made by anyone who knew how it worked and was reasonably good at woodwork. With a wheel, pioneer women could produce thread and yarn from wool, cotton and just about any other fiber – and save a fortune on expensive clothes from the local store. We iron our clothes to make them look smart. For the pioneers that didn’t matter so much most of the time, except for special occasions and visits to church if there was one nearby. Ironing had another function, though. Parasites were much more of a hazard in the 19th century, especially if you spent a lot of time outdoors and working around animals, and there wasn’t a range of safe, easy insecticides to get rid of them with. Ironing clothes – paying special attention to the seams – would destroy any flea or louse eggs that were concealed in them, helping to avoid infestations. Electric irons were invented in 1884 but remained a luxury for decades more. The ones available to the pioneers were heavy items of cast iron, which could either be heated in a fire before use or had a hollow interior that could be filled with burning charcoal. They were heavy and crude, but almost indestructible and pretty effective. 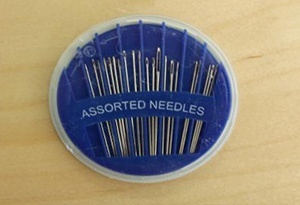 Most people have a packet of needles around the house somewhere, for sewing on buttons and other minor repairs. The pioneers took needles with them, too, but they took more than a single packet and there was a lot more variety in what they carried. They also used them for minor repairs, and many made their own clothes, so standard sewing needles were essential. But they also relied heavily on horses for power, and that meant they needed all the leather gear that’s needed to get work out of a horse. Saddles, bridles and stirrups were needed for riding, and then there was all the harness needed to pull a wagon or a plow. Heavy saddler’s needles were needed to repair leather or to make replacements for small items, like straps – few people had the skills to make a full saddle on their own. Needles seem small and unimpressive, but they’re not easy to make and life on the frontier would have been very difficult without them. Last but not least, there’s the trusty shotgun. 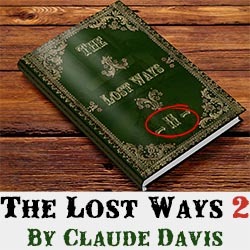 Despite what Hollywood shows, the most common gun in the West was a simple double-barrel 12-gauge. 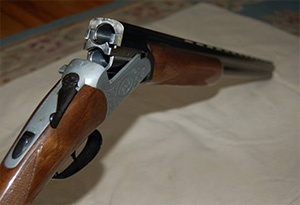 It was a sturdy, relatively cheap weapon that was effective at defending against predators, could hunt a wide variety of game with the right ammunition, and outranged a handgun if it ever came to a fight. Few pioneer families were without one. The frontier wasn’t anywhere near as violent as fiction portrays it, and in fact it was less violent than most of the USA is today, but a good gun was a wise investment. Today, when many of us have an array of power tools that can carry out a range of jobs quickly and precisely, the tools the pioneers relied on seem crude. In many ways they were – but they were also durable and effective. They didn’t wear out easily and could usually be repaired if something did go wrong. They didn’t need electricity to work; at most they needed a horse, and usually manpower alone was enough. These simple tools are what made the development of the American West possible. If society was to collapse tomorrow, modern versions of them – and the skills to use them properly – would make a massive difference to your chances of survival. You missed on two things. What you called a Harrow is a hay rack. and the Blacksmith tongs. Is snippers for cutting horseshoe nails. My father was a farmer and a Blacksmith. Raggedann, the ‘Harrow’ is actually a hay rake used to rake mowed hay into rows, a hay ‘rack’ is a wagon for hauling hay. I spent many a day on them. In the 1930s a “harrow” was a heavy frame with several rows of about 6 inch spikes used to break the crust in clay soils after rains so that the seed could break through the surface. The implement in this article looks more like the hay rake my father had but Dad’s rake had longer and more curved tongs for raking hay into rows before bailing it. The rake pictured is called a “dump rake” (I still have one just like it on my farm. I was used to rake the hay or straw into a pile to later be loaded loose onto a wagon and into the barn. Later rakes rowed the hay into a windrow for bailing. 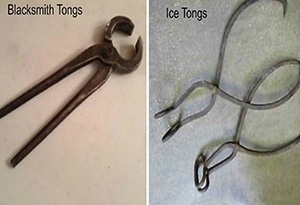 There are tongs for both horseshoe nails and blacksmith use. Farmer, tool-sharpener, and did his own blacksmithing as needed. And a harrow is a harrow, they could be hooked to a trailer or anything. You are thinking through 21st century eyes. You beat me to the comments. I guess the writer is too young to know first hand what things that old really are. 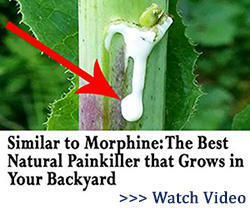 I bet they never heard of the denuter blade on a pocket knife. I saw them pictured on the wall but no mention of the importance of the draw knives/spoke shaves. Trees had to have bark removed and wheel spokes needed round smooth shaping. My grandfather didn’t have a spoke shave as suitable trees for that purpose were not indigenous to our homestead area but a draw knife was needed for shaping wood more quickly that wood chisels and more smoothly than adzes. One of my first baseball bats was fashioned from a locust tree branch with the draw knife. Being too unwielding, it was relegated to other farm uses, warding off a charging ram for one. Great article. Well written and researched. Loved the note about ironing out the parasites. 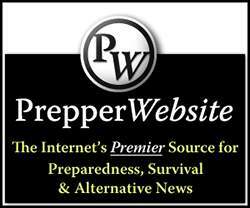 That settlers wagon is our best long term study of proven ‘bug out’ ability. Great article with lots of good information. One thing that was not listed was a wedge. 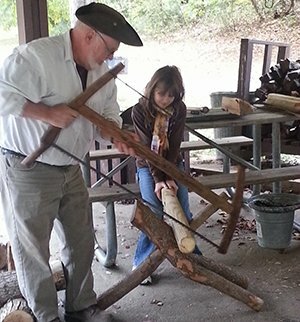 You needed a wedge and a mall (your large hammer) to split wood for fires and house building. Metal files, whetstones, or grinding wheel to keep edged tools sharp. A head knife for cutting and skiving leather. Also handy for skinning large animals and fleshing hides. An awl for making holes in leather in order to sew it. A froe for splitting roof shakes. A vise, even a small one, is handy. A broad metal chisel to cut nails from bar stock at the forge and to fashion many other metal items. Mr. Davis: Thanks for posting this list. It is both interesting and helpful. Although I have a great many of the tools listed, I see a some that I really should add. Even if sheltering in place, some of power tools we have will not work in a grid down situation and so we need manual replacements. One item that was overlooked in the list is a hand brace for drilling holes. Your 1/2 inch electric drill motor won’t of any use if the grid goes down. Yes, you can use other devices to make holes in metal and wood, but nothing works like a hand brace or hand drill and wood bits designed for use in a hand brace. Your regular drill bits for drilling metal or small holes in wood will work in a hand drill but for 1/4 inch and up you really need hand drill bits to effectively make holes in wood. 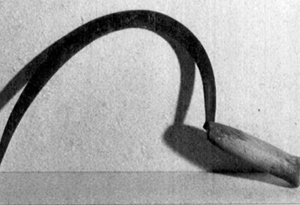 In the description of a flail, the tool pictured is actually called a sickle. It is used for trimming close to plants you don’t want to cut down. Such as trimming grasses from among tomato plants. The flail can also be called nunchuck. In addition to harvesting wheat and other grains it was also a battle instrument. 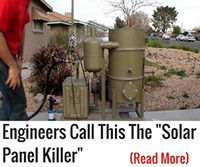 Also your “HOE” example is a modern rot-a-tiller, internal combustion, gas fired. Lol, not available in the 1800’s. what about types of vises, leg vise, tail vise, wagon vise?